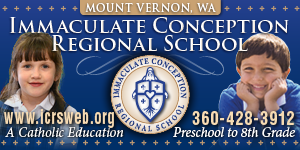 Your gift to Immaculate Conception Regional School makes a difference to every student and teacher. Gifts bridge the gap between tuition and the actual cost of an ICRS education, allowing us to offer the highest quality program, at tuition levels that are affordable to more families and students. It takes the whole community to bridge this gap. Your participation is key. Each gift, no matter the size, makes a difference. To make a gift online, please click on the "Secure Donation" button.